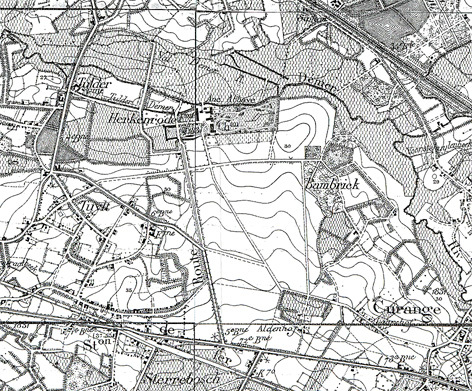 A map of 1923 shows the park in English Landscape Style. The Albert Canal has been constructed to the north and a new train route can be seen to the south. The river Demer still meanders through the landscape (Institut Cartographique Militaire 1923).